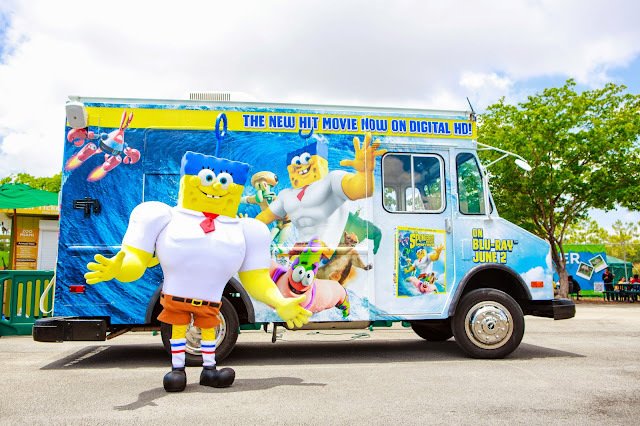 In celebration of World Oceans Day and The Spongebob Movie: Spongebob Out of the Water, SpongeBob SquarePants is coming ashore to 8 cities across the U.S., bringing laughter, joy, and SpongeBob frozen treats! While visiting the Spongebob truck, you can keep cool with tasty snacks, pose for photos with SpongeBob as his superhero alter-ego Invincibubble, plus get a free reusable tote bag and tips on helping to keep the world’s oceans healthy. The Sponge Out Of Water eight-city tour leads up to World Oceans Day on June 8th. World Oceans Day is a UN-recognized day of ocean celebration and action. This year, people are encouraged to pledge not to take any disposable plastic bags for a whole year and families can learn why it’s important to keep plastics out of the ocean at www.worldoceansday.org. So come join the family-friendly fun with Spongebob and check out the truck, get your own ocean-friendly tote bag, plus more free goodies! The SpongeBob Movie: Sponge Out of Water is available now on Digital HD, and arrives on Blu-ray, Blu-ray 3D and DVD June 2nd. Below are the eight cities and times where the truck will stop. Check out www.SpongeOutOfWater.com for complete details of the tour stops and follow the hashtag #SpongeOutOfWater on Twitter and Instagram. 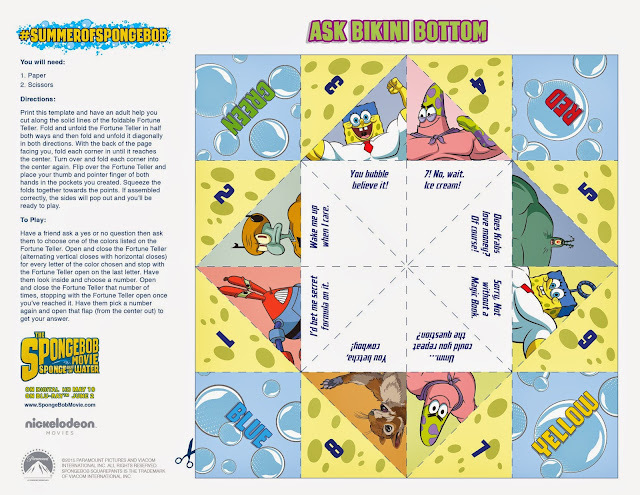 Along with Spongebob making his way around town, here's a free Ask Bikini Bottom, a Fortune Teller Game that you can print out for your kiddos to play with before watching the movie at home. Enjoy!